"Intel (INTC - Get Report) and AMD (AMD - Get Report) have hated each other since their formation," TheStreet's Jim Cramer said on CNBC's "Mad Dash" segment Monday. So "this is amazing" to see the companies partnering together. AMD and Intel have agreed to partner on a PC chip, which will use an Intel processor and an AMD graphics unit. 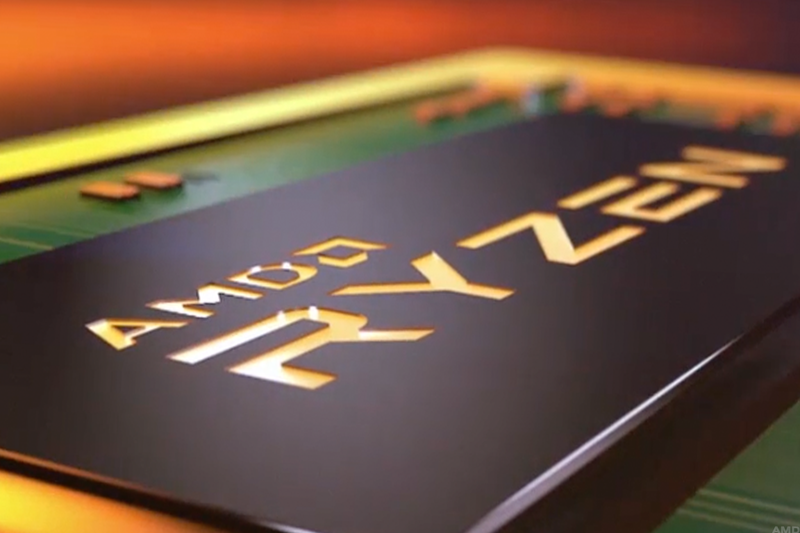 Investors don't have to worry about it impacting AMD's new Ryzen chip either, as the company has already said it will not affect that product. Neither can take on Nvidia (NVDA - Get Report) on their own, so they're now teaming up, he reasoned, questioning what impact, if any, this will ultimately have on Nvidia. Simply put, Nvidia makes a better product than Advanced Micro Devices. The move was announced just days ahead of Nvidia's quarterly earnings report, scheduled for after the close on Nov. 9. What a "gutsy" move, Cramer said, adding that he expects a very strong quarter from Nvidia. Intel CEO Brian Krzanich is determined to take on Nvidia. The company snapped up Mobileye in a pricey acquisition to take on Nvidia in self-driving cars. Now it's determined to win with PC gaming, too. "I like what Intel is doing," said Cramer, who also manages the Action Alerts PLUS charitable trust portfolio. Nvidia has the best gaming chips, which can be seen in the Nintendo (NTDOY Switch platform. AMD is in the Microsoft (MSFT - Get Report) Xbox and Sony (SNE - Get Report) Playstation. Intel should have gotten into gaming years ago, Cramer added. Given how Electronic Arts (EA - Get Report) , Take-Two Interactive Software (TTWO - Get Report) and Activision Blizzard (ATVI - Get Report) have pushed the limits on gaming graphics, Cramer has a solid point. That said, it's hard to knock Intel right now. The stock is on a monster run, up 17% over the past month after reporting a "great" quarter, he explained. Mobileye will ultimately be a winner and processors are doing well too, Cramer added. Right now, Intel management is in a take-no-prisoners mindset and this latest deal shows just that. "This is incredible," he concluded. Nvidia and Activision are a holdings in Jim Cramer's Action Alerts PLUS Charitable Trust Portfolio. Want to be alerted before Cramer buys or sells either? Learn more now.